When you talk about diving in winter your non diving friends usually cringe away in horror at the idea of cold water. They can’t understand for the life of them why anyone would want to play in the ocean when it’s winter. 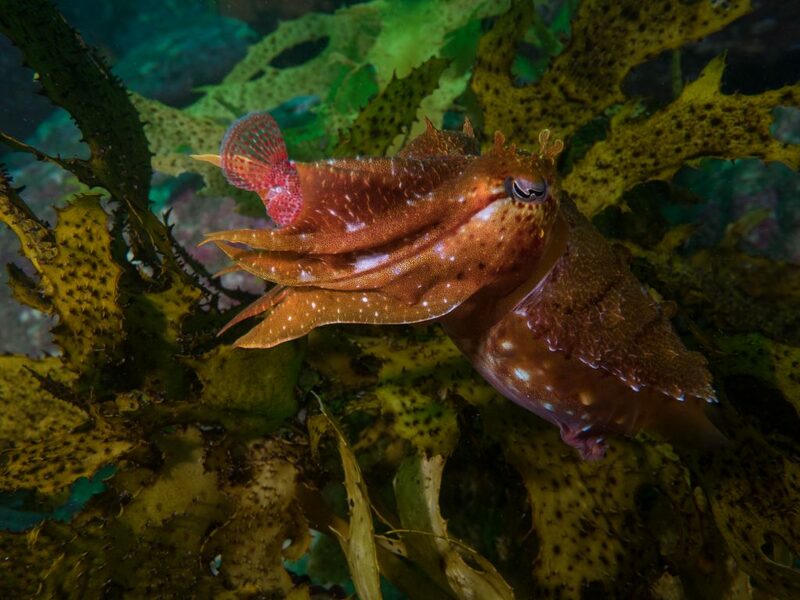 The truth is that diving in the colder months of the year is often just as if not more amazing than diving in the warmer months. The first and most prominent reason to dive in the colder months is that visibility is usually top notch. 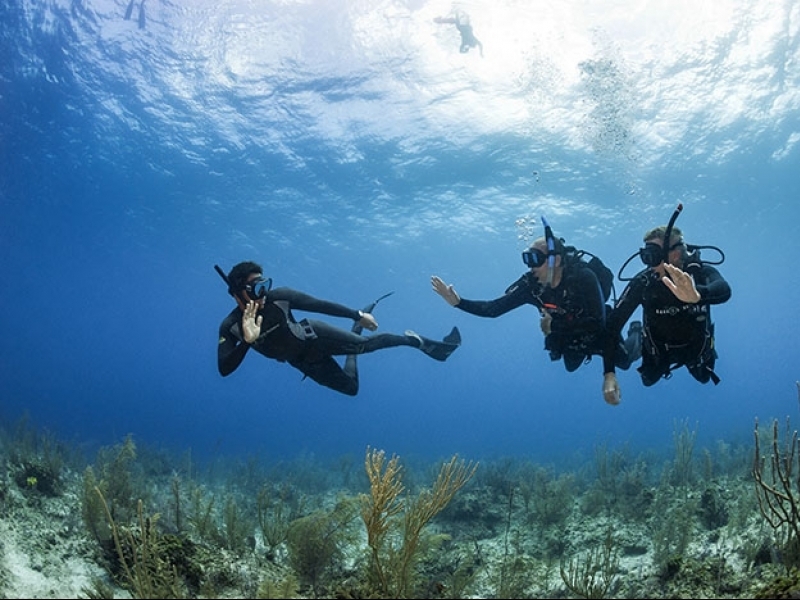 More often you will be found doing an underwater happy dance as you descend into the blue and discover that visibility is in excess of 15 metres. Not only can you now usually see the surface (and if your boat diving where the boat is) but the extra light being let into the clear water brings out the loud and vibrant colours of various magnificent sponge gardens. They really transform themselves into beautiful underwater fields with the winter water clarity. Diving anywhere outside of a bath you are going to need thermal protection. This is why winter diving has never bothered me as without the correct wetsuit or drysuit you will get cold no matter where you are be it in Tonga or Tasmania. So there really isn’t a reason to not dive in winter, it just means you need another garment under your wetsuit, a heated undergarment or you need to switch to that super warm drysuit. Heated vests are also a relatively new technology that has made winter diving all the more fun. With the chilly months lots of the usual summer fish species head north for the warmer waters. This includes species that leave their homes down south and migrate up the coast. Along with schools of Yellowtail and Salmon one the the most amazing animals you will ever dive with make their way north, the fur seal. These amazing animals migrate north to the islands off wollongong in the winter as they chase schools of fish. Diving with them is what winter is about for many a diver living in Sydney. The playful nature and up close experience you receive is something that is never forgotten. With some marine life making noise and splashing into the water in an uncouth manner can scare them away, not with seals! They will be all the more attracted to the clumsy animal you become when trying to keep up with their amazing contortion abilities. Seal diving is a bucket list must! 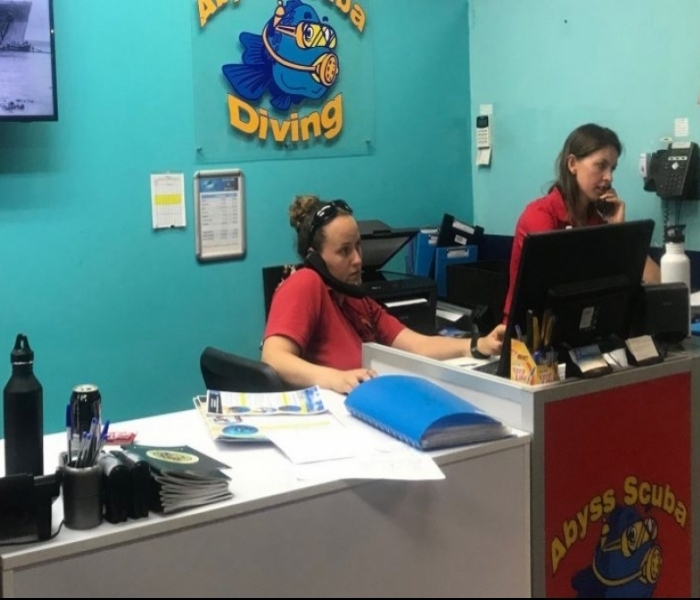 There is a long list of great reasons to dive in winter (not to mention the available parking) so don’t let the cold put you off whether it’s from learning to dive or from just getting into the water at your favourite dive site. Winter is coming but winter can be fantastic.